In my house I have an extensive library of small press poets. 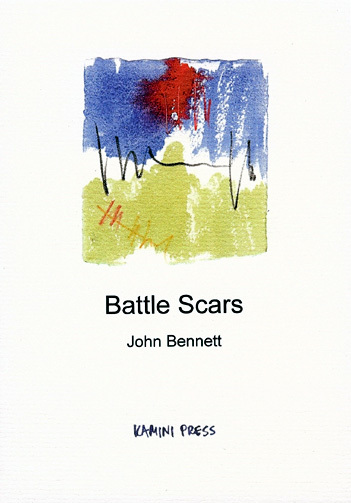 I now have added Battle Scars to my collection and one John Bennett book will not be enough. This entry was posted on January 14, 2011 at 7:04 am and is filed under Reviews, Uncategorized with tags poetry. You can follow any responses to this entry through the RSS 2.0 feed. You can leave a response, or trackback from your own site. I have his book, too, and love it! Tea Baggers….the poem is right on. are you the same john bennett that used to be friends with ben hiatt??? if so, could you please contact me at dave@boles.org. thank you. THE most important writer. Great to see him at the Truck. Appreciate your kind words on Battle Scars. John Bennett is as much a part of my day as my cup of coffee in the morning and two fingers of Jack at night.